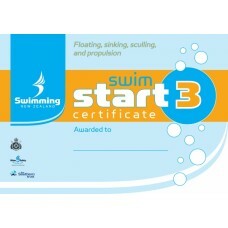 SwimSmart certificates correspond to the five levels of learn to swim development. Each certificate has a series of skills for the swimmer to complete (itemised on the back of each certificate) before the certificate is awarded. The certificates are bright and colourful and can be used across all age groups.